“In the past few months, numerous comments and evaluations of this important document have been made,” the patriarch wrote Dec. 2 in L’Osservatore Romano, the Vatican newspaper. “People have asked how specific doctrine has been developed or defended or if pastoral questions have been modified or resolved and if particular norms have been strengthened or mitigated,” he said. The patriarch said it was no accident that the pope’s letter, “Amoris Laetitia” (“The Joy of Love”), was released in April, about the time he and the pope went to the Greek island of Lesbos to meet with refugees. 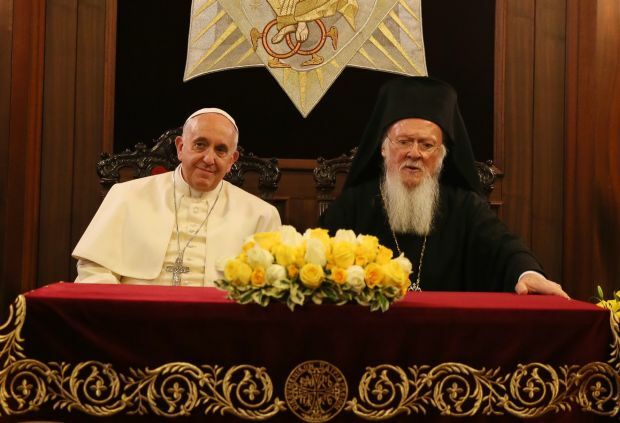 “In fact, what was immediately clear to both of us while we looked at the sad faces of the victims wounded by war was that all of these people were members of families, families split and torn apart by the hostilities and violence,” the patriarch wrote.